Glisten up! 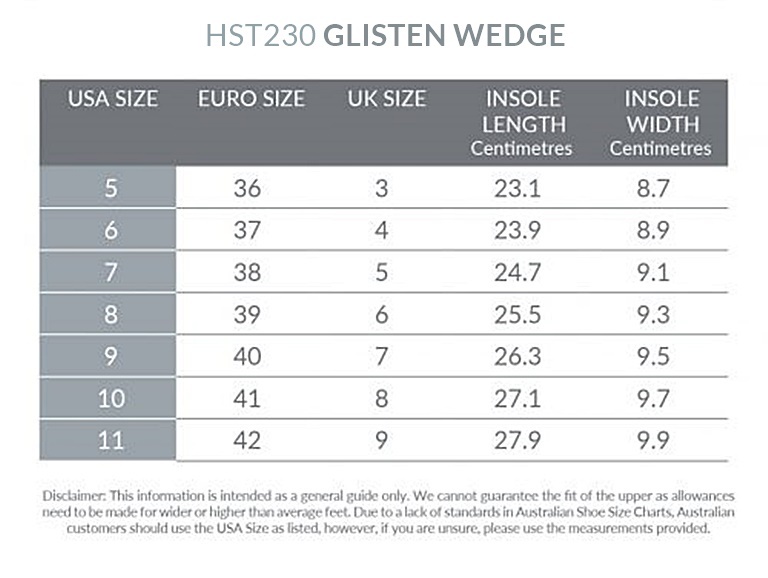 Part of our comfort collection, the Glisten Wedge features on trend metallic straps, super comfortable full-length padded insoles and extra strong grip. Available in a range of must have colours, this perfect mid height wedge will keep your pins looking flawless every step of the way.